NEW YORK, April 24, 2012 – JDRF, the leading global organization focused on type 1 diabetes (T1D) research, announced today that it has partnered with Dexcom, Inc. (NASDAQ:DXCM), a San Diego, CA-based medical device company focused on developing and marketing continuous glucose monitoring (CGM) systems. The goal of the partnership is to accelerate the development of a novel wireless “smart transmitter” that would allow a CGM system to communicate directly with an artificial pancreas control device currently being used for research studies, instead of only with a CGM receiver. JDRF will provide Dexcom up to $500,000 over 12 months in milestone-based funding to complete the development, testing, and manufacturing of a custom “smart transmitter” prototype, which will be used for studies within JDRF’s Artificial Pancreas Project academic research consortium. The direct communication capability enabled by the smart transmitter will be an important feature for artificial pancreas trials in outpatient (real-world) settings, as it would eliminate the need for a trial participant to carry multiple devices all wired together while testing an artificial pancreas system’s ability to manage glucose levels. People with T1D are burdened with constantly having to determine the right amount of insulin to dose at the right time, multiple times every day. Yet even with diligent monitoring, a significant portion of the day is still spent with either high or low blood sugar, placing them at risk for devastating complications. The artificial pancreas under development will be an external device that people with T1D could use to do what their bodies cannot—automatically control their blood sugar around the clock. It will work by combining an insulin pump and a CGM, which provides glucose readings every 1-5 minutes, with sophisticated computer software that allows the two devices to “talk to each other” to determine and provide automatically the right amount of insulin at the right time. Currently, all in-hospital artificial pancreas studies use wires and cables to connect a CGM system and an insulin pump to laptop computers or smartphones, which act as the artificial pancreas controllers. In current CGM systems, the transmitter sends real-time glucose levels from the sensor to a receiver. In comparison, Dexcom’s next generation of “smart transmitters” will have the ability to wirelessly transmit a glucose value directly to multiple devices, including several versions of an artificial pancreas controller. “This robust wireless capability could greatly enhance the performance of closed-loop algorithms in outpatient studies, and we are proud to be working with JDRF on this exciting venture,” said Terrance Gregg, chief executive officer of Dexcom. JDRF is the leading global organization focused on type 1 diabetes (T1D) research. Driven by passionate, grassroots volunteers connected to children, adolescents, and adults with this disease, JDRF is the largest charitable supporter of T1D research. The goal of JDRF is to improve the lives of every person affected by T1D by accelerating progress on the most promising opportunities for curing, better treating, and preventing T1D. JDRF collaborates with a wide spectrum of partners who share this goal. Since its founding in 1970, JDRF has awarded more than $1.6 billion to T1D research. More than 80 percent of JDRF's expenditures directly support research and research-related education. Past JDRF research efforts have helped to significantly improve the care of people with this disease, and have expanded the critical scientific understanding of T1D. JDRF will not rest until T1D is fully conquered. 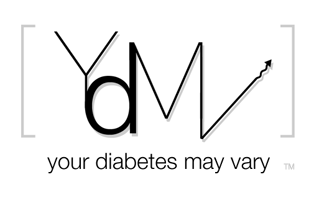 For more information, please visit www.jdrf.org. Are they joking?? This is the problem they are facing the not so convienient receivers? What about accuracy? Do they feel that the current dexcom is good enough to bolus away? I really don't get it why don't they try to deal first with the real issues, and they have plenty! Suspending insulin below 80 would prevent serious lows. That is a start. Better transmitters need to be implace for studies and next gen sensors. Am I missing something here, or are we basically just taking the next logical step in creating wireless capability for the AP? I mean... seriously. I read this and my takeaway was: "No, sh*, Sherlock." I agree and what is significant is less what it is than that the step is in the works.